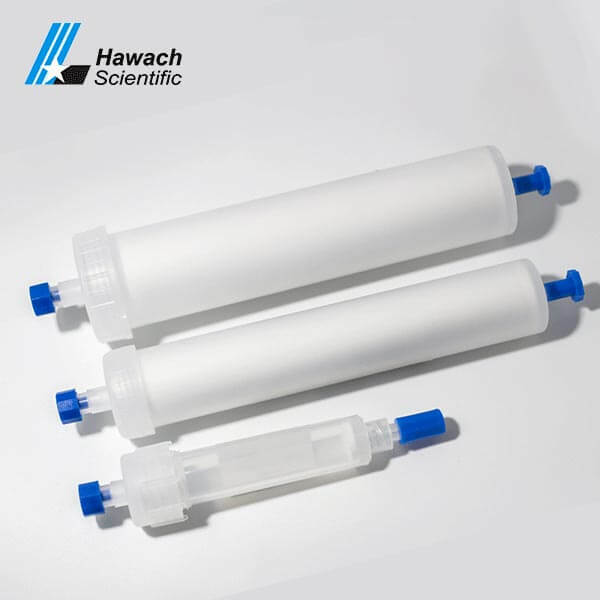 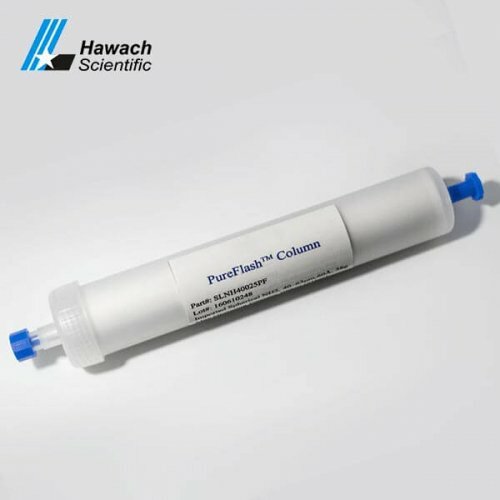 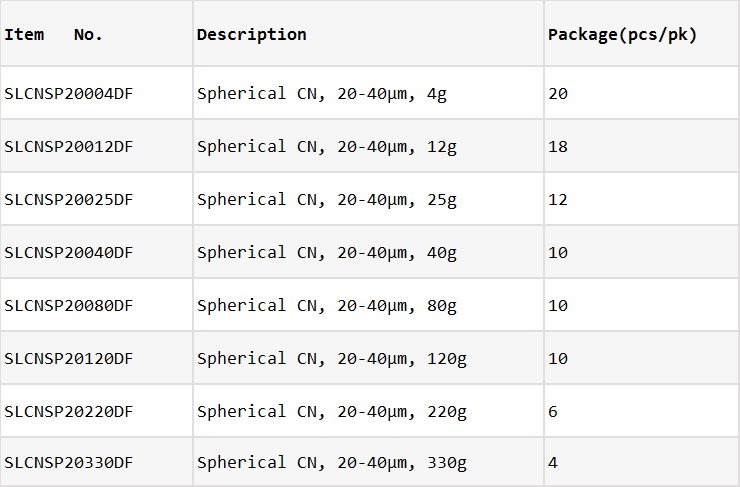 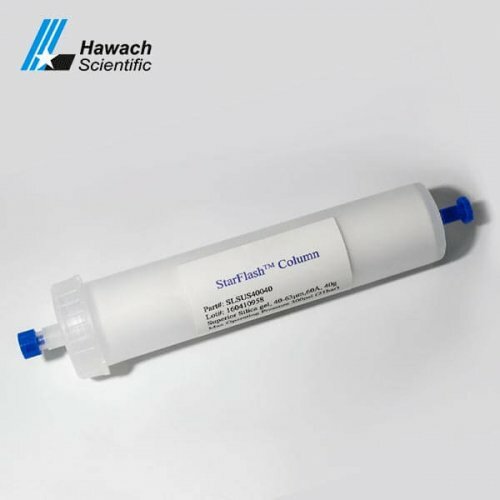 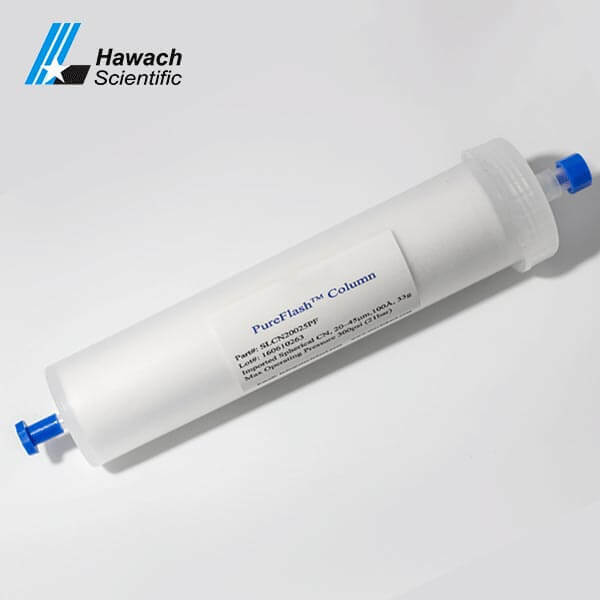 The CN Flash Column from Hawach Scientific packed with bonded cyano functional group on ultra purity silica substrate. 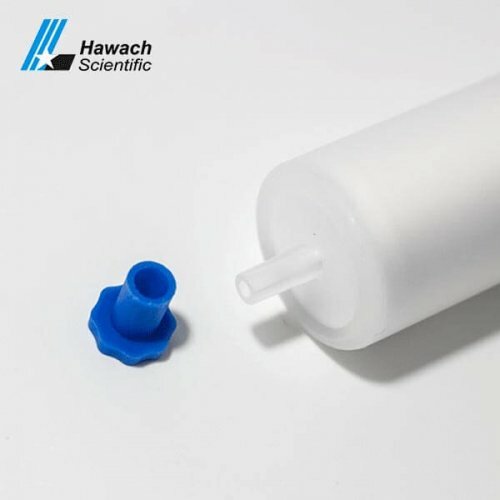 The polarity is between silicone gel and C18. 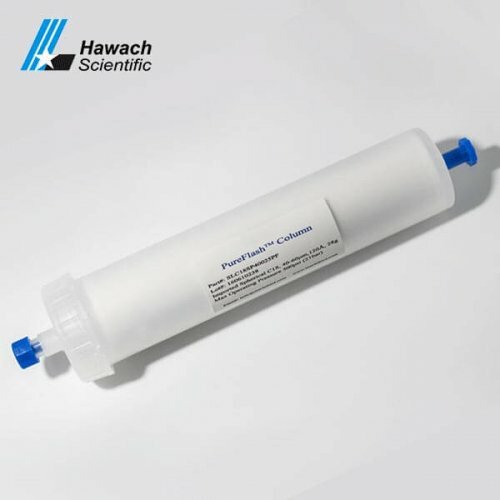 The CN Flash Column can be usually used for both normal and reversed phase flash separation. 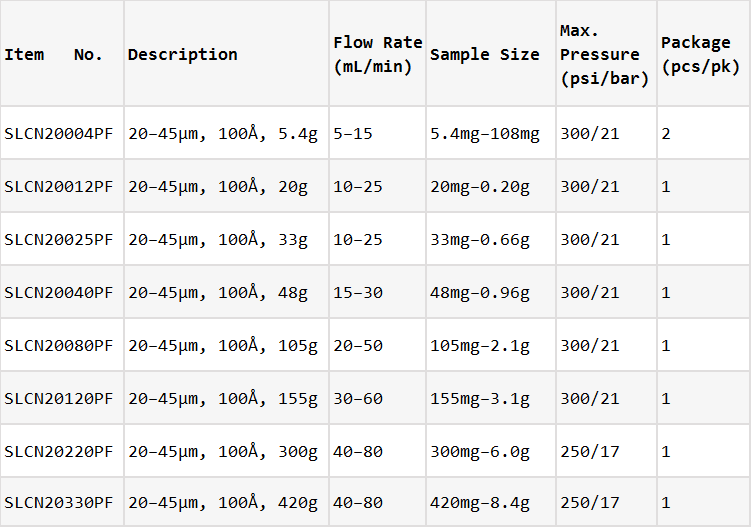 Spin-welded and allow the column for higher pressure of up to 400 psi.